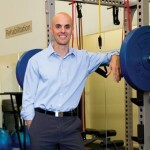 Chiropractors receive extensive training in the assessment and treatment tendon injuries. Tendonitis is a condition in which a tendon is injured and becomes inflamed. A tendon is a band of fibrous tissue that connects a muscle to a bone and is capable of withstanding very high loads. Symptoms vary from an ache to a sharp pain and stiffness in the area of the tendon right through to a burning pain that surrounds the whole joint around an inflamed tendon. Chiropractic treatment of tendonitis seeks to address all the underlying issues that may have led to the overload and subsequent injury. This is contrary to the suppression of inflammation with various forms of medication, and various forms of physical therapy which may focus solely on the injured area. While it is vitally important to take a hands-on approach to the management of the injured tendon helping to reduce scarring, inflammation & improving strength and flexibility, failure to take a whole body and lifestyle approach can often lead to relapses in injury. 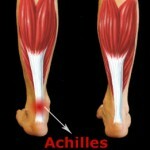 A perfect example of this is Achilles tendonitis resulting from poor posture! Forward head posture and rounding of the shoulders leads to excessive stress on the muscles of the lower leg as they get tighter to stop you falling forward. Unless you correct the postural fault causing the stress and strain on the lower leg and consequently achilles tendon you are destined for relapses. In this situation failure to assess and treat the neck and shoulders is the missing link to a comprehensive whole body approach that will give you a long term result. If you are suffering from any form of tendonitis consulting with your chiropractor may be the best approach for you.